Patrick "PJ" McGonagle was a happy, generous soul who loved animals and was an avid outdoor sportsman. At the young age of 45, PJ passed away suddenly due to cardiac involvement of sarcoidosis. My goal is to raise awareness & funds for sarcoidosis research in memory of my husband PJ & in support of all of those who have been affected by this rare disease. Thank you in advance for supporting The PJ McGonagle Sarcoidosis Research Fund! 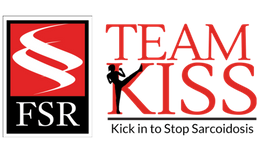 Raised by PJ's generous family and friends in conjunction with the 2017 Team KISS walks.